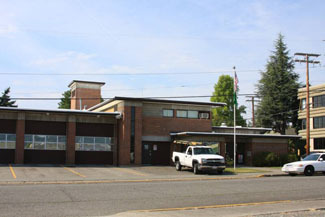 Want to have professional commercial low slope roofing installation in the Graham, WA area? Want to have commercial low slope roofing service for your commercial project? Get in touch with Johnson Exteriors. We have completed more than 5000 projects helping other commercial projects receive the right low slope roofing. Along with product knowledge and competitive pricing, we bring a high level of expertise to all our projects. Providing quality and timely services to our customers is our foremost objective. When it comes to installing, repairing or replacing your roof, it is essential to hire professionals. We have already done multiple projects so we know how to provide commercial low slope roofing for your Graham area property on time. We also work on single-ply roofing systems. 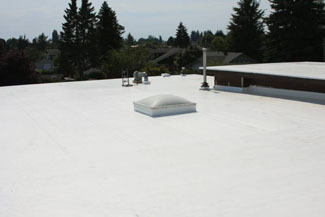 For timely commercial single-ply roofing service, choose our experts. Why you should pick our commercial low slope roofing service? 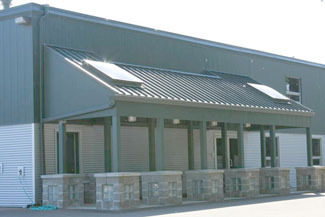 Commercial single-ply roofing is one of the most popular types of commercial roofing material. For single-ply roofing service, call our certified, knowledgeable, and skilled professionals. Our skilled single-ply roofing installers have been carefully selected for their experience and quality workmanship. Each of our roofing professionals carefully and meticulously installs your roof system per manufacturer and city code specifications. Why avail yourself of our professional roofing service? Searching for single-ply roofing systems in the Graham area? We are always available to provide our commercial clients professional advice along with professional installation. We are expert in providing single-ply roofing systems. Single-ply requires no costly or regular maintenance. We believe in providing trusted and quality services to our customers each and every time. Our people and the work they deliver are the reason why our clients choose to work with us again and again. We are the one to trust when it comes to single-ply roofing systems installation, maintenance, and servicing. Looking for commercial low slope roofing or commercial single-ply roofing services in the Graham area? Call Johnson Exteriors at (360) 226-2521.